The Huntingdon Walnut Table Lamp by Heathfield & Co is designed in conjunction with leading Australian designer, Brendan Wong. His infamous style can found in the juxtaposition between the angular, clean lines of the wooden base and the slender curves of the polished brass metalwork. 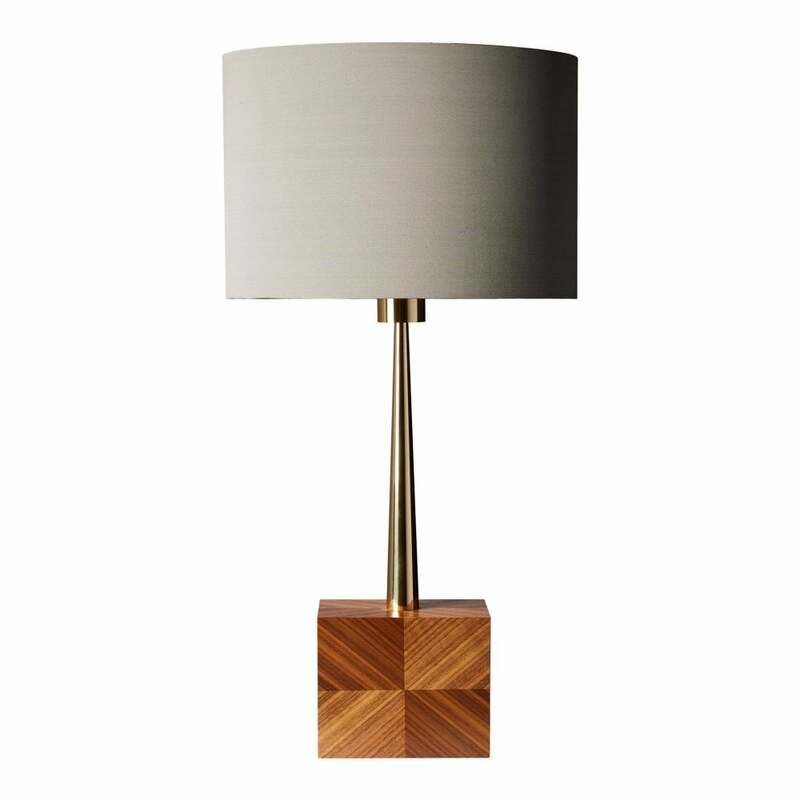 The wooden base is expertly crafted with a geometrically influenced veneer finish. Completed with an exquisite, hand-made shade, Huntingdon will suit both modern and traditional interiors. The base is available in two colour options, choose from a deep amethyst or a rich walnut finish. Make an enquiry for more information. Priced for 15" Oval shade with silk outer and white pvc lining. Other options available.